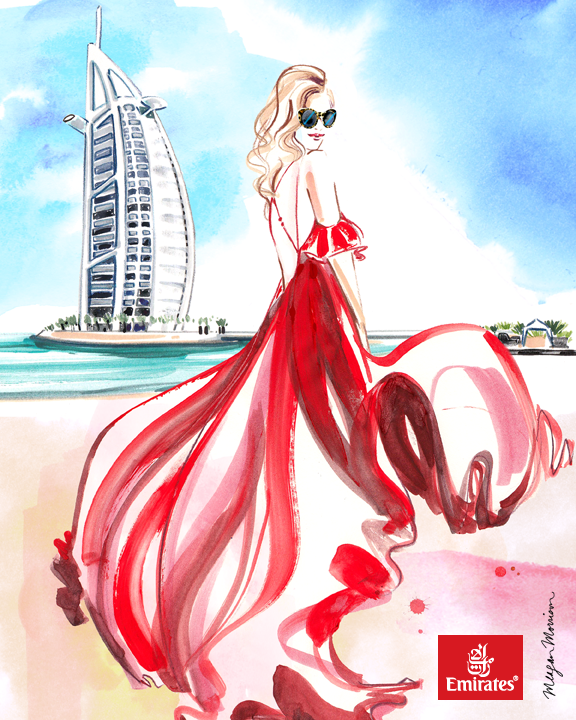 Travel Write Draw: Illustrated Postcards for Emirates Airlines!! 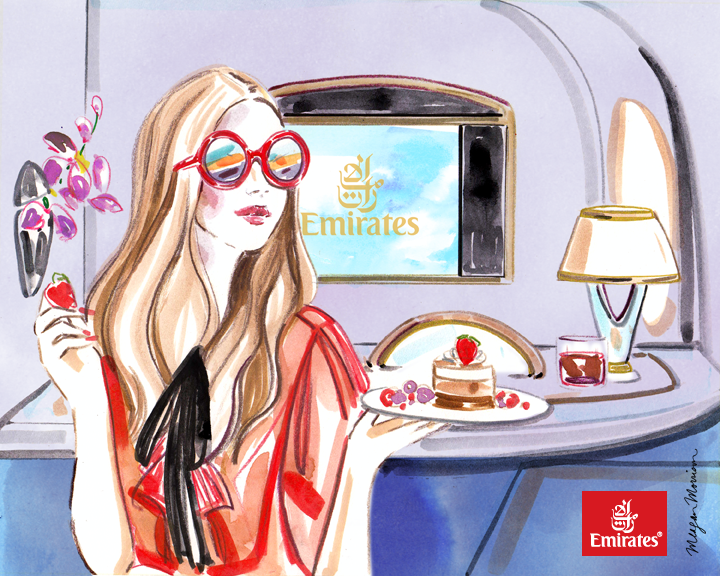 I'm so thrilled to share with you these custom illustrated postcards I created in partnership with Emirates and MyDomaine.com, to highlight the top 6 amenities to enjoy during their new evening A380 flight service from LAX to DXB starting July 1. 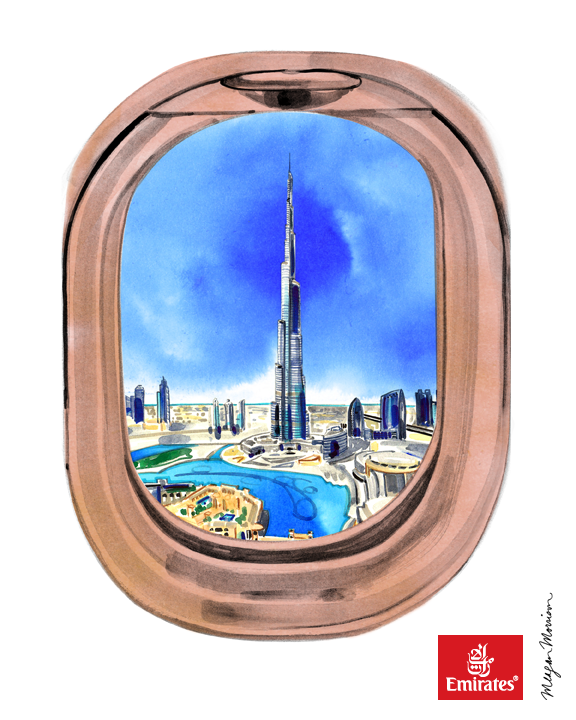 It was such an honor to work on these illustrations, given my personal affinity for Emirates Airlines and the always awe-inspiring U.A.E!! 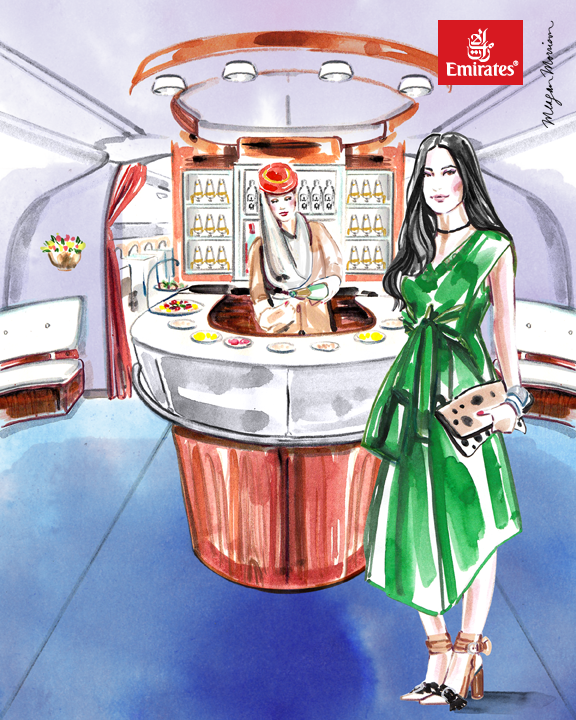 From catching up on your favorite shows, to savouring a cocktail at their fully stocked onboard bar, or freshening up in the shower spa with Bulgari toiletries, the flight is as much the destination as the city itself. 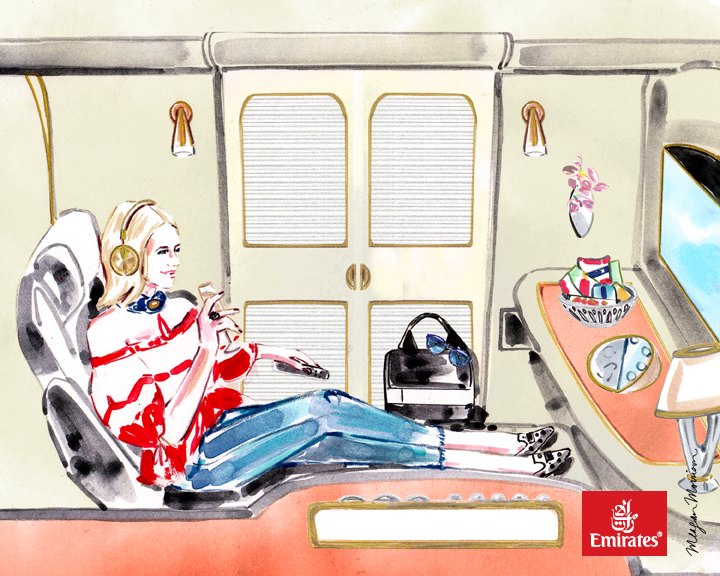 *Amenities available in First Class on the Emirates A380; select amenities available in Business and Economy Classes. Love your tips! I agree with you, Looking forward to seeing your notes posted Executive Protection. Softhof offers to their customer free domain registration and best web hosting services. 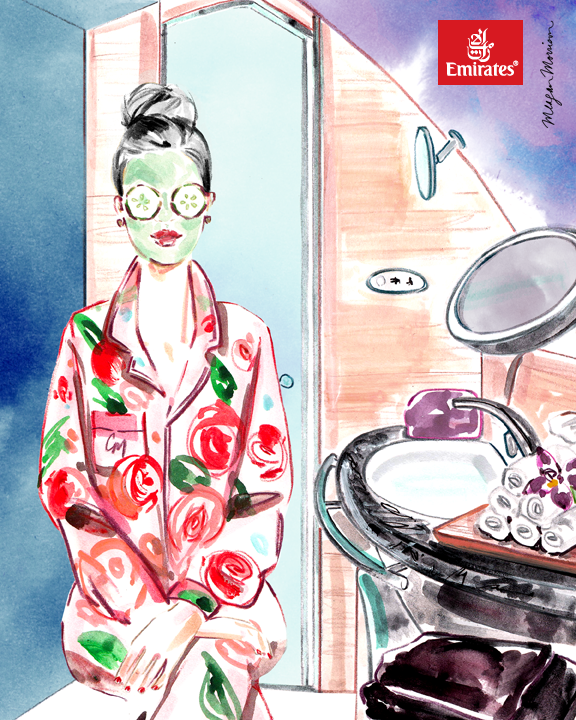 We are continuously striving to upgrade our services to best possible experience for our customers. Serving thousands of customers worldwide we provide secure web hosting with the world best available tools and easy to use web hosting control panels. Softhof is fulfilling the large number of best features of web hosting that customer needed.